I-Spy with my little eye….. They say most guys come to Pattaya to re-live their youth, most retired foreigners here have a much younger partner for sure, especially if she is Thai. So it seems fitting to resurrect another game from yesteryear, “I-Spy”. This isn’t the 2 player version we all used to play in the doctor’s waiting room, but the one based on the book version designed for young aspiring train spotters…. 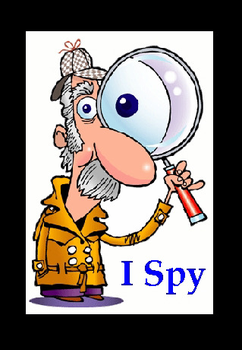 The “I-Spy” books were very popular throughout the 50’s and 60’s, but went out of publication by the earlier 2000’s to be up-dated and re-launched in 2009. Original titles included; “I-Spy Creepy Crawlies”, “I-Spy Birds”, “I-Spy Working Vehicles”, “I-Spy Trees”, “I-Spy Wild Flowers”, “I-Spy On a Car Journey”, “I-Spy Nature”, “I-Spy Flags”, “I-Spy On a Train Journey”, “I-Spy Ancient Britain”, “I-Spy Classic Cars”, “I-Spy Cars”. When you spotted one of the selected wild flowers or flags etc you would tick a box and write where you saw it. Points would be awarded for everything spotted. The more rare an item or thing was, the more points you got. The company was originally run by an ex-headmaster who went under the Red Indian name (Native American) “Big Chief I-Spy”. A completed book could be sent for verification to his assistant ‘Hawk Eye’ who would check the books entries and award certificates and badges. “Big Chief I-Spy” and “Hawk Eye” have since been laid off due to political correctness in the UK and are looking for work abroad. So, if you want to play “I-Spy” in Pattaya it’s best to get together with some friends and a few note pads and pens and make a newly titled book. The first to complete could win a prize, maybe a free night out or something else! There is one original title that could easily be re-adapted for Pattaya, “I-Spy Birds”. You could have many spotting possibilities here including “I-Spy a Bird from Isaan” (very few points for this), “I-Spy a Bird from Laos” and so on. You could also have “I-Spy a Bird with a Tattoo”, points could be awarded depending on bodily location…. Ok, there is potential for cheating here for sure, so you could really bring this “I-Spy” lark up to date by adding photographic and audio recordings as evidence as well. For example if you have found a Bird with a tattoo worthy of ten points, take a snap on you’re smart phone promising not to post on Facebook! You could also have fun with names, “I-Spy ten Birds with different nick names” – record the girls saying their names. (The prize better be good as this one will cost you a few lady drinks!) And finally, for the big points “I-Spy a Bird who is really a Guy” and other associated activities…. You will need to elect someone in your group to be “Big Chief I-Spy” and his “Hawk Eye” assistant to verify any completed books. The first to fully complete all entries with no omissions wins! In the event of a draw ‘Big Chief I-Spy’ and his trusty Side Kick will decide on merit. They should not be partial to bribes, ideally!